Every month we spend an evening scouring the pages of the latest issue of Previews and pick the ten titles we are looking forward to the most. This month it's the March issue of Previews which includes comics scheduled to ship in May 2011. James R: Man alive, am I excited about this! I know there was a whole lot of excitement about Blackest Night last year, but I felt that it lacked a certain something. However, I think this summer's big DC event looks far more to my tastes. Front and centre is the Flash, who wakes up to find out that due to some time stream jiggery-pokery (and yes, that is the technical term!) the DCU we knew and loved is no more! 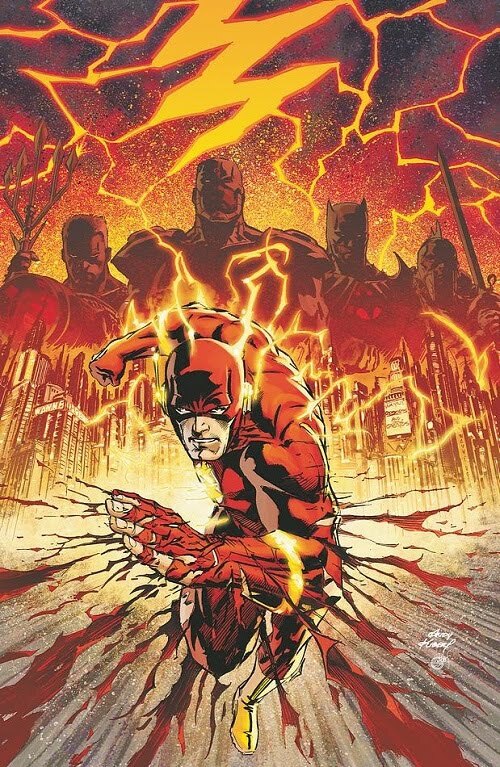 It's up to Barry Allen to try and re-right the wrongs with a gang of familiar, but now strangely different heroes. I've always had a soft spot for the Flash, and I love a good alternative universe title, so here's hoping that Geoff Johns brings his A-game to this one - it shows a bucketload of promise! Matt C: Yet again Image have a slew of #1s launching this month, and while the majority don’t really have me salivating, this one looks like it will be the best of the bunch. I’m never usually that enamoured by tales of super-powered kids (although I did have a soft spot for Power Pack back in the ‘80s) but Gladstone’s School For World Conquerers looks like it’s witty premise – a training academy for young supervillains – may just be enough to ensnare my attention. Failing that, considering how many new Image books have attracted a speculator buzz recently, I could always attempt to flog it on eBay for a tidy profit! 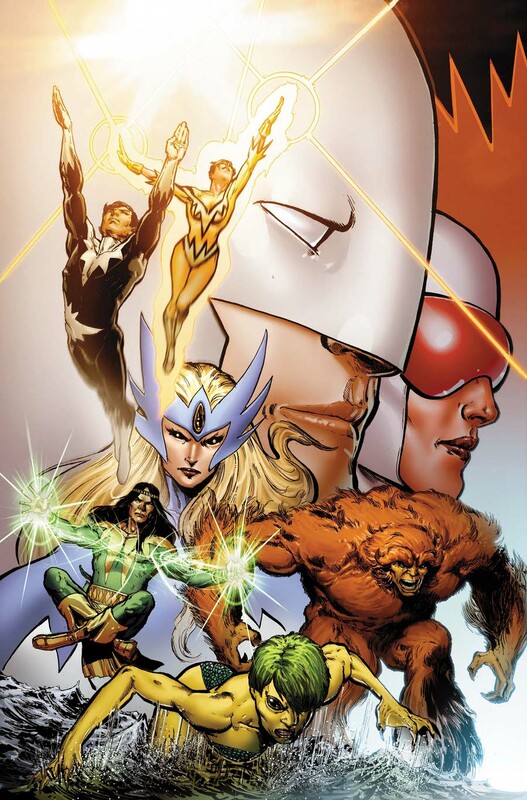 Stewart R: The little exposure to Canadian superhero team Alpha Flight that I’ve had has come purely from the animated X-Men cartoon of the ‘90s and that is all. So what’s making me go for this comic you ask? It’s got to be a combination of creative team, previous ‘Point One’ successes in recent months, and the fact that Marvel seem so damn willing to keep these guys in the rotation and try to find them an audience. Greg Pak and Fred Van Lente have a proven record with the Marvel canon, Van Lente in particular wowing me in 2010 with the truly superb Taskmaster miniseries, and Dale Eaglesham’s name has been bounced around as being a more than competent hand with pencil and pen. I’d been rather dismissive of Marvel’s ‘Point One’ initiative back in the day but it’s actually proven to be a shrewd move by the House of Ideas that has had the creators on it’s books churning out some damn fine work. I’m hoping that this will be the case for Alpha Flight. James R: Well, this is a pleasant surprise! Scott Snyder has been smashing it out the park with his work on Detective Comics (which you should all be reading!) and this month we get some bonus Snyder/Bat-goodness in the form of Gates Of Gotham. As the DC Universe blog says "When a mystery as old as Gotham City itself surfaces, Batman assembles a team of his greatest detectives – including Red Robin, Owlman, I-Ching and others – to investigate this startling new enigma. As clues are discovered and the mystery deepens, Batman’s team soon finds itself on a journey that explores different eras in Gotham’s history." Cool huh? This is going to set up story arcs for the next year of Batman books and tie in with Grant Morrison's Return Of Bruce Wayne, so that's a triple-fisted win in my book! 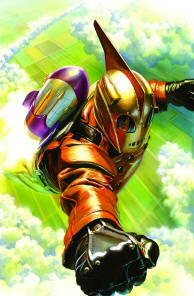 Andy H: There's something about the Rocketeer. It's in a class of it's own and deservedly so. Dave Stevens creation has been around for nearly 30 years now and has lost none of it's magic. So now my dilemma: do I believe the Rocketeer can be done justice by anyone other than the late, great Mr Stevens? Knee jerk reaction was “no”. Then I thought about it a little more and realised this could be a good thing. Look at the talent involved: Alex Ross, Kurt Busiek, John Cassaday and Mike Mignola. All with a passion to pay tribute in the best way they can. If you never had a reason to pick up Rocketeer books in the past, or are a fan of the original, this anthology should have something for everyone. Stewart R: Christopher Yost returns to the world of X in May and I cannot wait. He and Craig Kyle brought some great X-Force tales to the page a couple of years back and now he’s jumping into the mutant universe once more to weave us a tale of time travel that will bring the past into the present. Oh yes, that very first class of Xavier trained mutants will be paying a visit to the 21st Century to help the current roster battle a group of enemies known as The Evolutionaries. Yost’s involvement is a big reason for picking this up but when he’s supported by Paco Medina and Dalibor Talijic on art duties this has to be considered as a lock into my pull list really. Medina has proven time and again that he excels when it comes to the X-Men and Talijic really impressed with his work on Hit-Monkey last year. With X-Men: First Class hitting movie theatres later this summer I think I’d also like a little reminder of where the mutant story began all those years ago too and this seems to fit the bill. 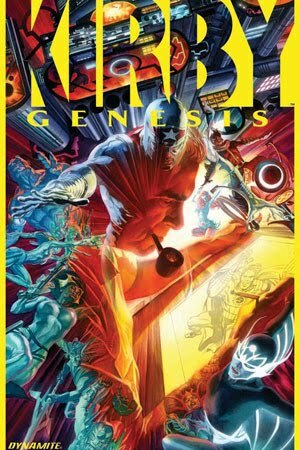 Matt C: This book sees Alex Ross and Kurt Busiek (you may have heard of them!) attempt to bring a variety of Jack ‘King’ Kirby’s creator-owned properties under one roof, so to speak, with the likes of Captain Victory and Silver Star existing in the same universe. If you’ve ever sampled any latter period Kirby you’ll probably know that while the outlandishly brilliant concepts where still in place, there was a plentiful supply of slightly embarrassing dialogue and the blatant need for a good editor to whip the stories into shape. His genius still endures though because there simply hasn’t been or ever will be anyone else like him. Without him it’s highly unlikely that I would have sat down to write this and you would now be sitting elsewhere reading it. There’s obviously potential here, but then that was also the case when Ross launched Project Superpowers at Dynamite, and that didn’t exactly set the industry ablaze. For £1.00 you’d be a fool not to give it a shot though. James R: Anthology books can be a strange brew. In my experience, for every good tale, you're also shelling out for some pap at the same time - consistency is the key! With that in mind, I'm hopeful about the return of the Strange Adventures title to the Vertigo world, as it looks like it's choc-full of greatness. First up, it's our first chance to see Azzarello and Risso's new collaboration Spaceman - and as a fan of 100 Bullets, I'm itching to see their take on sci-fi. Best of all is that it also features work from my current favourite artist/writer as Jeff Lemire takes on Ultra The Multi-Alien, and that alone will be worth the price of admission! For good measure, there are 10 pages from Scott Snyder and Pete Milligan. I think that's solid gold throughout, and a definite add to my pull list! Rob N: It's fair to say that 'Bendis & Maleev' is a partnership that always prompts me to sit up and take notice when it's slapped on to the solicitation blurb for a new comic book. Together they've been responsible for three of my favourite titles in the last decade: Daredevil, Spider-Woman and Scarlet. Moon Knight is a character who has suffered many unfortunate reboots over the years, none of which have even begun to approach the quality of the classic Doug Moench and Bill Sienkiewicz run in the 1980s. 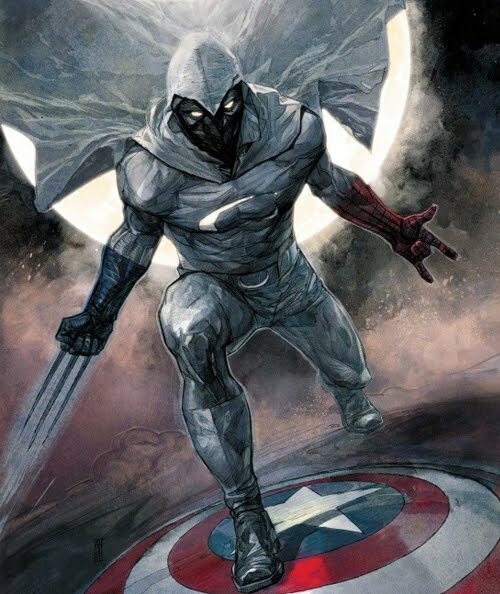 Most people agree that Bendis is at his best when he's dealing with street level characters, and as an artist Maleev's use of dark shadow and photo realism seems tailor made for a subject like this, so at long last it seems that Moon Knight is in good hands. I'm not by nature a betting man but I can't see that this can possibly fail, quality wise. Andy H: Palmiotti and Gray certainly get around a bit and I'm sure they won't mind me saying that, especially as they generally deliver the goods. This one-shot looks like it will continue the trend. A spirit of vengeance born from the horrors of the concentration camps of Nazi Germany is loosed upon the streets of modern day New York. Art is provided by Norberto Fernandez and captures the horror of the camps and the horror unleashed by the Tattered Man in convincing style.